he may expect more out of YOU after he reads this post!!! 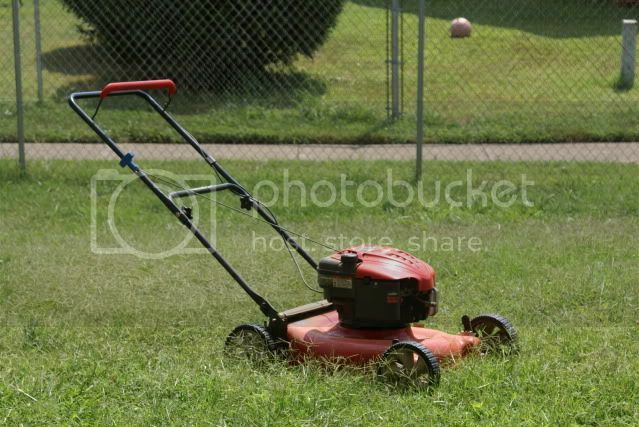 if you know me you know that i am not a girl who mows grass. i did it one time the day we left our house back in florida....only because Jake was SSOOOOO tired from painting all night the night before....only reason! well. apparently, all the military wives cut the grass up here. their husbands are deployed and they just pick up his jobs. i recall hiring someone when Jake deployed last time. so, i just thought everyone did that. nope. i think i have seen a man cut grass ONCE in the 6 or so weeks we've been here. what is that????? it's a mans job, isn't it??? the wives around here say it's relaxing.....what??? wanna hear a secret?? 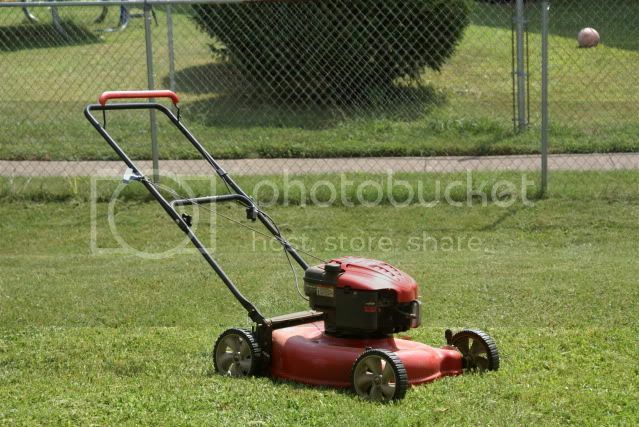 i mowed the grass the other day and.......enjoyed it!!! seriously. it IS relaxing. it's a job, but it's relaxing. no kids pulling on your leg. no whining kids in your ear. alone time. all you hear is the rumbling of the engine and your own thoughts. did you hear me?? YOUR thoughts!!!!! i'm all over this the next time it needs done!!! i just might ask for a lawn mower for Christmas....well, maybe not. i can think of a few other things that rank a bit higher on the 'ol wish list!!!! wanna see what a good job i do??? Yours looks great though. Good job. Love your blog. Your pictures are so great! Following along.